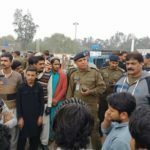 Extremist religious groups in Pakistan have called for mass protests and threatened the judges of the country’s Supreme Court in Islamabad ahead of their ruling in the blasphemy case of Christian woman Asia Bibi. The hardline Islamic party Tehreek-e-Labaik Pakistan (TLP) threatened the judges in a press conference on YouTube, saying that if Aasiya Noreen, commonly known as Asia Bibi, were to receive clemency, the justices would meet a “horrible” end, reported AFP. Meanwhile another religious group, the Red Mosque in Islamabad, asked the Supreme Court to order that, if Asia Bibi is released, she will not be able to leave the country. “Western forces are trying to get Asia Bibi out of the country but she should be hanged,” spokesman Hafiz Ihtesham Ahmed told AFP. 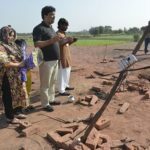 The TLP also announced it would hold a rally on Friday, 12 October, while on social media there were calls for Asia Bibi to be hanged. 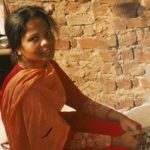 Pakistan’s Supreme Court heard the much-delayed appeal of Asia Bibi on Monday, 8 October. It did not announce its decision, saying it would “reserve judgment” for several days or possibly weeks. Noreen received the death penalty in 2010 after she was found to have made derogatory comments about Islam’s prophet, Muhammad, during an argument with a Muslim woman. 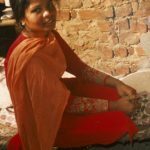 In June 2009, Noreen, then aged 38, was picking berries in the fields as a day labourer in Sheikhupura, outside Lahore, in eastern Pakistan. It was hot. She brought water to a female co-worker, who objected that the touch of a Christian had made the water haram, or religiously forbidden for Muslims. The woman reportedly told Noreen to convert to Islam in order to become purified of her ritual impurity. Noreen’s rejoinder was perceived as an insult to Islam. She was arrested, accused of blasphemy against the prophet and the Quran, and has been in prison ever since. The Muslim woman, with her sister, were the only two eyewitnesses in the case, but the defence failed to convince the appeals judges that their evidence lacked credibility. In the Lahore High Court appeal hearing in October 2014, Bibi’s then-lawyer, Naeem Shakir, argued that the main complainant in the case, the local Muslim cleric Mohamed Salaam, had not heard Bibi blaspheme, and that his original complaint had been lodged only five days after the women’s quarrel. Shakir argued that, during her 2010 trial, the only reason given for this delay was “deliberation and consultation”, and said that Salaam had acknowledged this in court. Salaam was filmed by an international film crew for a film about Bibi in 2014, saying that it was his religious obligation to defend the dignity of Muhammad and that is why he decided to be a witness before the court. He only heard Bibi allegedly confess to blasphemy when she had been brought before a village council several days after the quarrel. Her other main accuser, Mohamed Imran, owner of the field in which Noreen worked, was not present at the time of the quarrel either; he was away from the village. However, the High Court ruled that it had no choice but to let the conviction and death penalty stand, based on the way the country’s laws are written, and on what it characterised as an inept trial defence. At the same time, the court asked Pakistan’s lawmakers to craft legislation that would empower trial courts to apply a test that would make future blasphemy convictions much more difficult to achieve. However, in recent years Pakistan, which is 96 per cent Muslim, has seen a surge in accusations of insulting Islam, says the Islamabad-based Centre for Research and Security Studies. 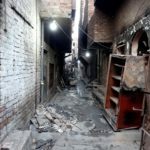 However, the president of the British Pakistani Christian Association, Wilson Chowdhry, said in June 2015 that any changes to the blasphemy law would, in reality, have little effect because of “local police authorities cowing under pressure from mobs led by local imams”. Noreen’s lawyer then filed an appeal with Pakistan’s Supreme Court and in July 2015 it agreed it would hear Noreen’s case. Commentators praised the court for its courage to hear the appeal in the face of strong public sentiment against anyone seen to denigrate Islam, with some calling it a “historic day for Pakistan”. However, the appeal stalled in late 2016 when one member of the three-judge panel recused himself. In April 2018 Pakistan’s chief justice, Saqib Nisar, told Noreen’s lawyer, Saif-ul-Malook, that he would hear Asia’s appeal “soon”. Pakistan’s Supreme Court is the last possibility for Noreen to see her death sentence repealed, or she has to appeal to the president for mercy. Bibi’s case has attracted global attention, much of it critical of Pakistan’s blasphemy laws. In 2011 two prominent Pakistani politicians, Punjab governor Taseer and cabinet member Shahbaz Bhatti, were assassinated after they spoke publicly in Bibi’s defence. Following the killing of Taseer, Bibi’s husband said she was “very afraid”. “She knows the Muslims have announced a price on her head and would go to any lengths to kill her,” he said. Authorities increased her security and moved her to an all-women facility, Multan Prison. In May 2018 another politician who has championed the country’s minority communities, Ahsan Iqbal, survived an assassination attempt by a gunman protesting against the blasphemy laws. Pope Benedict XVI also made a public plea for clemency, while the EU’s Special Envoy for Freedom of Religion or Belief, Jan Figeľ, told Pakistani officials earlier this year that the renewal of their export privileges to Europe would depend on the release of Asia Bibi. 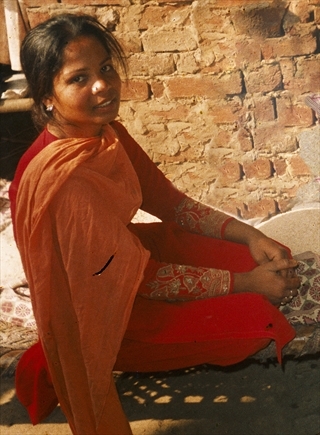 June 2009 Aasiya Noreen, commonly known as Asia Bibi, mother of five, is arrested on charges of blasphemy. November 2010 Noreen convicted and sentenced to death by hanging. Her lawyer appeals verdict. Salmaan Taseer, governor of Punjab Province who supported Noreen and called for reform of the country’s blasphemy laws, is assassinated by one of his bodyguards. As a result authorities increase security for Noreen and she is moved to the all-women Multan Prison. 2 March Shahbaz Bhatti, Federal Minister for Minority Affairs who supported Noreen’s case and was outspoken critic of country’s widely condemned blasphemy laws, is assassinated. 20 October News emerges that Asia has been beaten by prison officer. March - October Lahore High Court starts appeal hearing but case keeps circulating among several judges who postpone its hearing, allegedly for fear of reprisal from extremist elements. 16 October The Lahore High Court confirms Noreen’s death sentence. 24 November Noreen’s lawyer files appeal with Pakistan’s Supreme Court. 4 February Noreen’s husband speaks out about how family’s lives are under constant threat following her conviction and sentencing five years ago. 22 July Supreme Court decides to hear Noreen’s appeal. October Noreen is moved to solitary prison cell because of fears for her security after Supreme Court upholds sentence against former Punjab governor Salmaan Taseer’s murderer. October About 150 top Muslim clerics from radical Islamist group Sunni Tehreek call for Noreen to be hanged. Mufti Muhammad Haneef Qureshi renews call for Noreen’s execution. 5 October	. Noreen nominated for the European Parliament's Sakharov Prize for Freedom of Thought. November Three European Parliament members visit Noreen’s family in Pakistan. December The EU’s Special Envoy for Freedom of Religion or Belief, Jan Figeľ, tells Pakistani officials that renewal of export privileges to Europe depends on Noreen’s release. February Noreen’s husband and daughter meet Pope Francis in the Vatican. 21 April Chief Justice Saqib Nisar announces he will hear Noreen’s appeal soon. 6 May Ahsan Iqbal, Pakistan’s interior minister and supporter of the country’s minority communities, survives assassination attempt after meeting prevent her from Christians in his constituency. 8 October Supreme Court hears Noreen’s case but delays ruling. 10 October Radical religious groups threaten judges over possibility of releasing Noreen, and ask High Court to leaving the country. 31 October Supreme Court acquits Noreen of blasphemy charges based on lack of compelling evidence. Noreen is moved to a secret location in Islamabad for her safety. 2 November Protests led by supporters of the Islamist party Tehreek-e-Labaik Pakistan paralyses the country. In an attempt to restore order, the government promises a review of the verdict. 3 November Noreen's lawyer Saif ul-Malook flees Pakistan for fear of his life and requests asylum in the Netherlands. 14 November Several countries offer asylum to Noreen and her family. 29 January A Supreme Court panel of three judges dismisses the petition of a review. Noreen is free to go and leave the country.